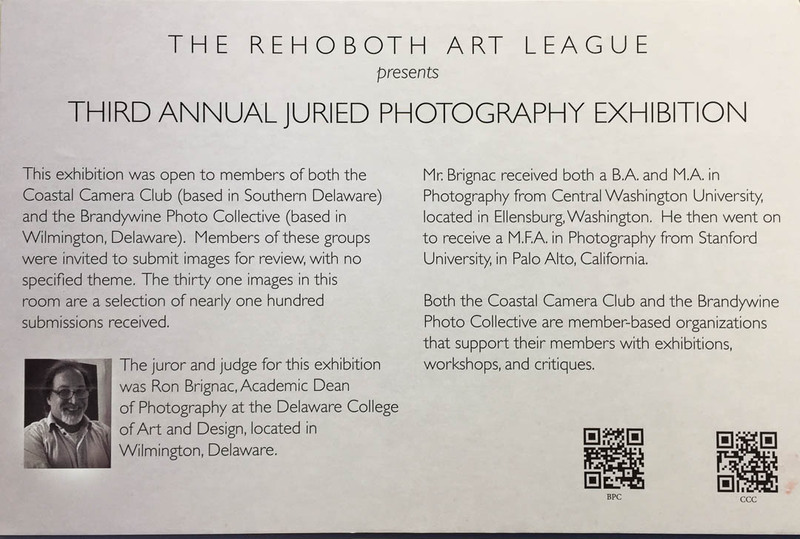 I was one delighted guy to win second place in the third annual photography exhibit and competition at the Rehoboth Art League in January, 2018. A hundred dollars! — nearly enough to cover the cost of framing. 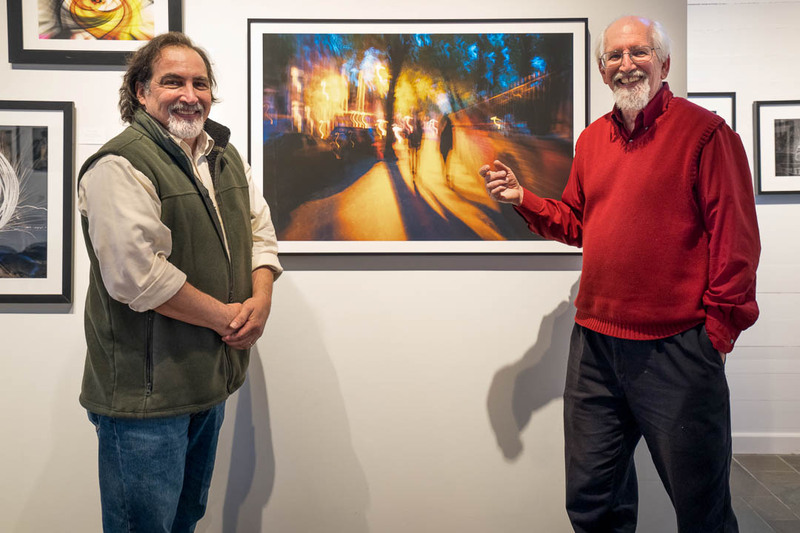 The exhibit featured work from the north and south — of Delaware — from the Brandywine Photo Collective and the Coastal Camera Club. Gerry Meekins, like me a Brandywine member, won first place and $300. PHOTO ABOVE: 2nd Prize winner Danny Schweers, right, with juror Ron Brignac. Photo by Lynn Maniscalco. BELOW: Ron Brignac giving his presentation. Ron Brignac, the juror, led an give-and-take question-and-answer session at the reception. He teaches photography at the Delaware College of Art & Design. It showed that he was familiar standing in front of a crowd, answering questions and asking questions as well. Click here to read the article in the Cape Gazette.